The season for painting faces and dressing in costumes continues during Day of the Dead! 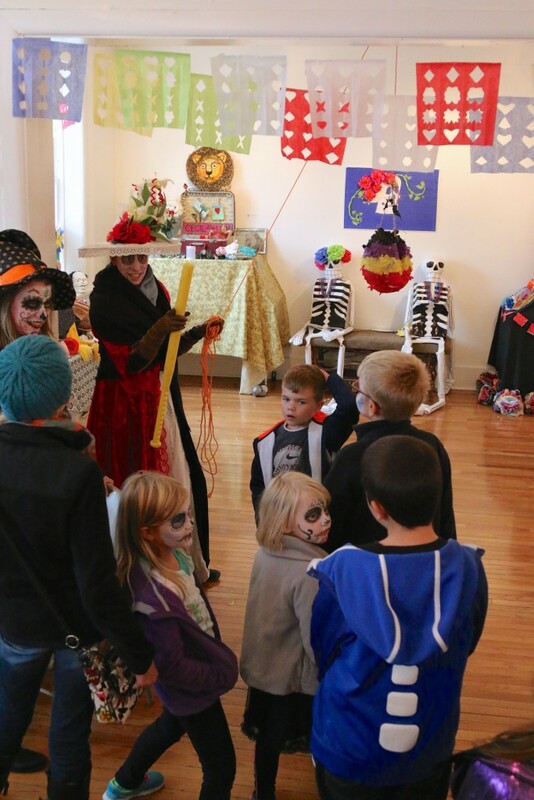 Your kids will love getting “cultured” at Nickel Plate Arts by celebrating Day of the Dead (Dia de los Muertos) after school on Wednesday, November 1, 2018. This festive Mexican holiday with ancient roots honors and celebrates the memory of friends and family members who have passed away. Our version amplifies the artistic aspects of Day of the Dead to appeal to the young and young at heart. Kids will explore Mexican art and culture by learning about the holiday’s traditions, participating in crafts (free-$5 each) and art making, and enjoying treats! Expect to get hands-on in the creation of altars, laying out offerings, and sharing food, music, and stories with loved ones. Our celebration will put an artsy spin on these popular traditions. Admission to Day of the Dead at Nickel Plate Arts is FREE! Just come by after school with the whole family! Come to Nickel Plate Arts for our annual Day of the Dead event (Dia de los Muertos) on Wednesday, November 1 from 3:00 – 8:00 p.m.! Explore traditions with us by participating in collaborative activities, various make-and-take crafts and learn about the history of this holiday by celebrating with us! From 6:00 – 8:00 p.m., we’ll be screening Disney Pixar’s Coco. Seating is limited, so please register for this part of the event by filling out the form below. We’ll have complimentary snacks and refreshments available.